VIP table located in main room (EDM music). 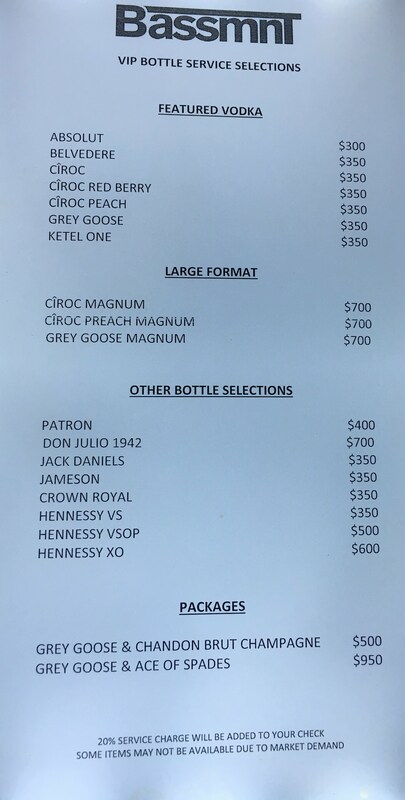 VIP table located in the hip hop room. Dance floor table located in main room. Dance Floor Table located in hip hop room. 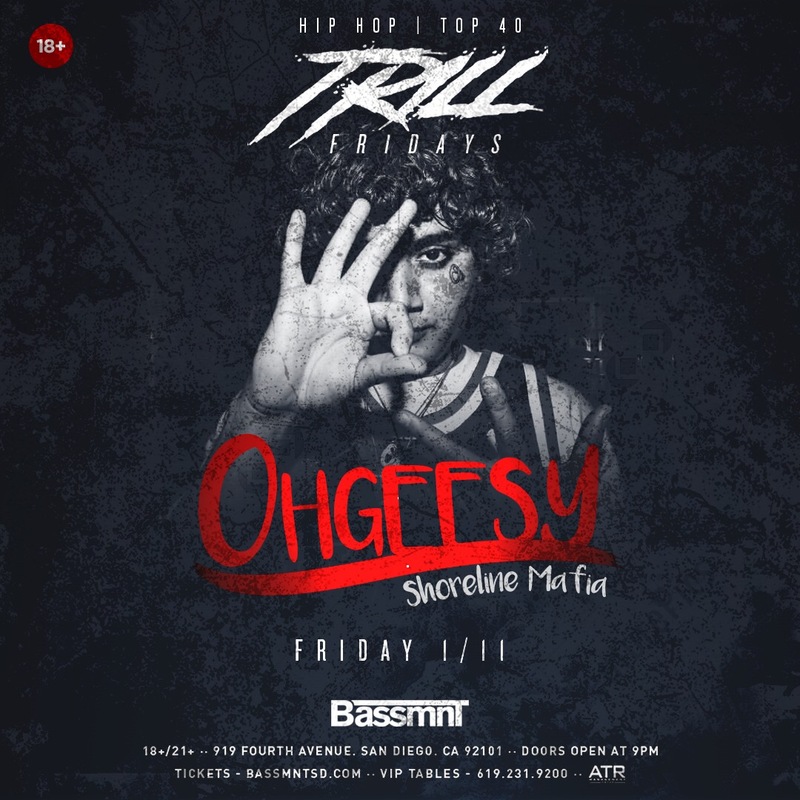 Join us for a Trill Friday event as Bassmnt presents Ohgeesy of Shoreline Mafia! The young rapper has exploded like an unstoppable force in the hip hop scene gaining the attention of millions around the globe. 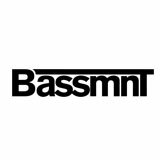 Don't miss his solo debut at Bassmnt with other special guests!